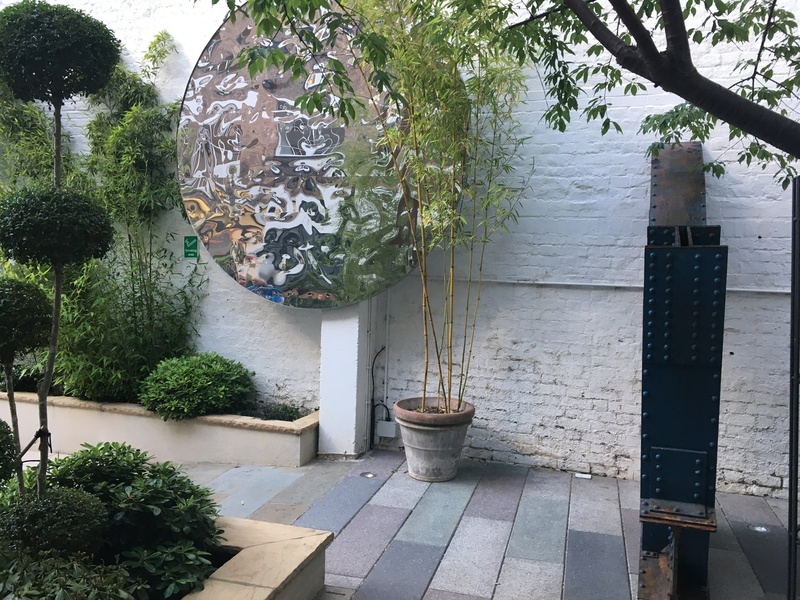 This week I set about finding as much nature in Mayfair’s galleries as possible – and was quite successful at it I think. 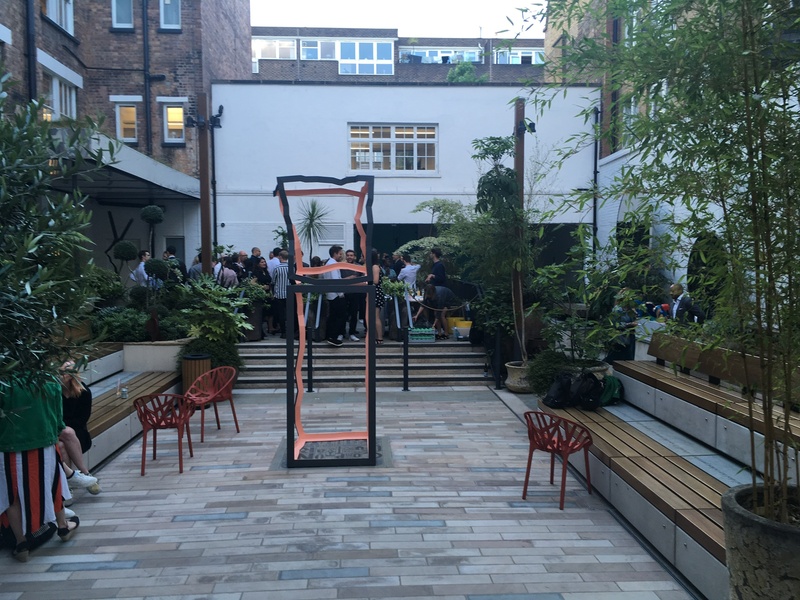 My celebrations ended with a lovely evening party hosted by SODA and ARTIQ for the London Festival of Architecture. Ordovas is one of the most delicate spaces for shows the calibre of which is comparable to institutions like the Tate. Typically comprising few works, often not more than 8, they demonstrate an impeccable curation – as was the case for Artists and Lovers in 2016. Flowers, currently on display, is no different. Retreating from the scorching sun, we enter the single space to find on our left Richter’s Blumen and Freud’s Cyclamen. For both, the works, the portrayal of flowers, were seen as portraiture. Richter noted that he projected his yearnings onto landscapes, whilst Freud’s fascination for the cyclamen plant stemmed from their death – marked by hardened veins and subsequent collapse. The fragile and ephemeral nature of our subject matter is embodied in Calder’s Little Black Flower, the mobile gently dangling above us. Like Blumen, Little Black Flower is on loan from a private collection and has never been exhibited in the UK. The red wires, rotating gently with the current carry a single black metal blossom. 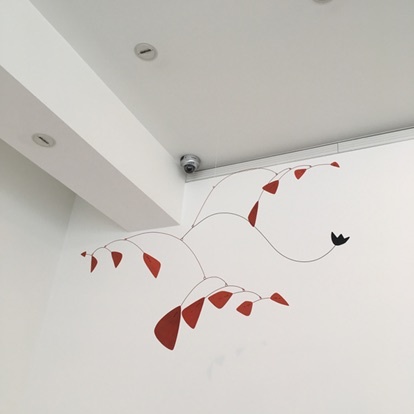 The gentle proportions, compared to larger Calder works, are especially fitting, with the gallery’s CCTV camera acting as a planet orbiting around the sculpture. 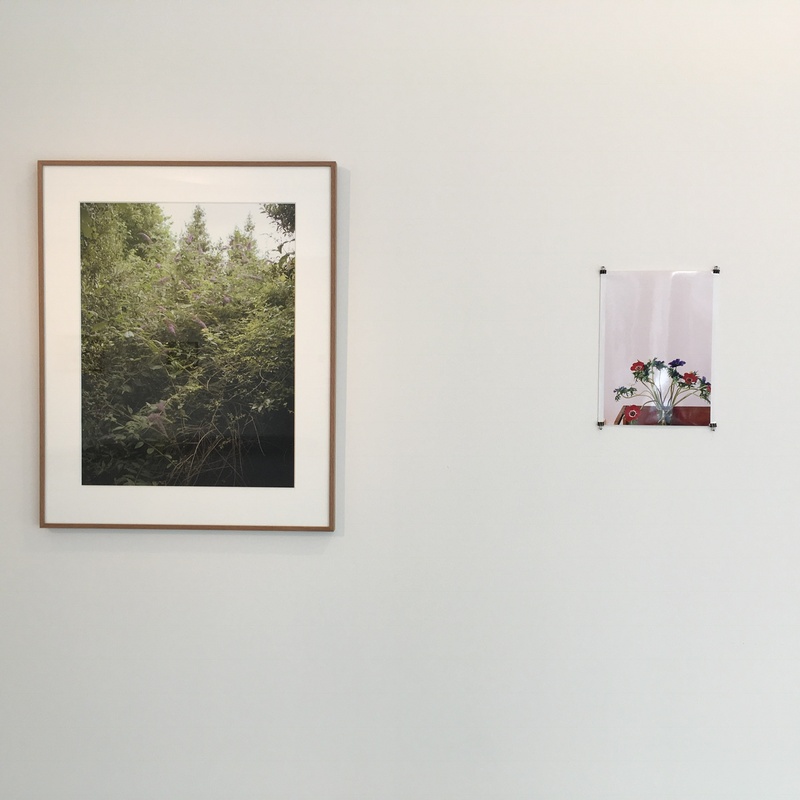 Whilst Warhol’s Flowers was a predictable choice, of greater interest is their positioning next to Pettibone’s recycling of the same in his Andy Warhol, ‘Flowers’ although I must say I was far more preoccupied with the right side of the gallery as I had spotted a Tillmans. 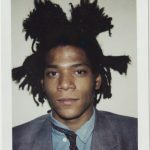 Anemone, set on a light pink backdrop, pinned onto the wall using Tillmans’s favourite black paperclip method, initially appears as the most casual of photographs, between the framed Dawson’s Lucian’s Buddleia (a photograph of Freud’s garden placed directly opposite Cyclamen, yet another example of excellent curatorial subtleties) and Mapplethorpe’s Flower. Yet precisely because of its humble placement the wooden table (which recalls Dawson’s frame) and the saturation of the petals pop out, their shades enhanced by the leafy green and the black and white photographs surrounding them. I then walked, not too far, to David Nash’s show at Annely Juda Fina Art. I had recently read that his land art, Ash Dome, was under threat due to ash dieback and it being too costly to preserve. Conscious that I would be unlikely to witness the dome, which was meant to outlive the sculptor and is found in a secret location in north Wales, I took the opportunity to see ‘Wood, Metal, Pigment’ instead. 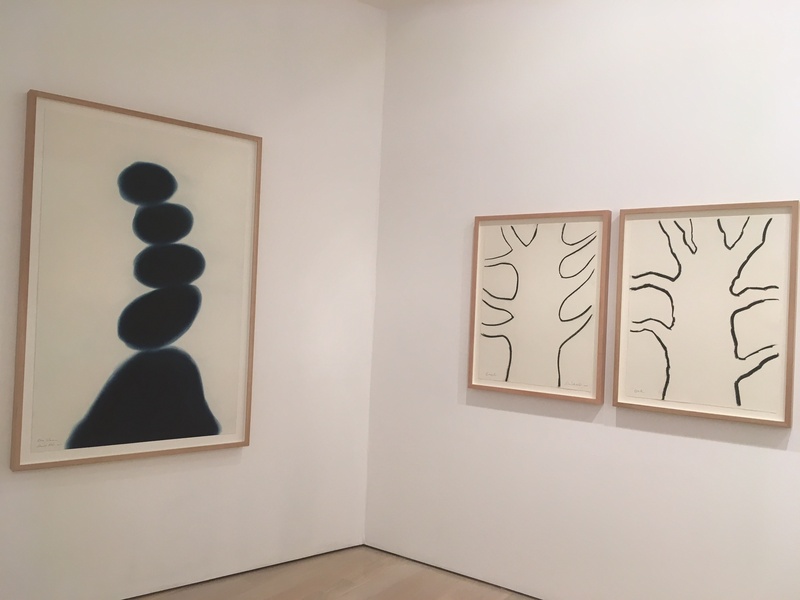 Occupying two floors of the blindingly sunlit gallery, the show seeks to show us Nash’s range of works – paintings, sketches and sculptures – which span decades of his fertile career. Starting on the top floor, some of the most notable works are his Green and Black sculptures of oxidised bronze and wood where the fragile bronze takes on the role of moss, or perhaps even coral, as it seeks to grow over the solid back wooden structure at its core. 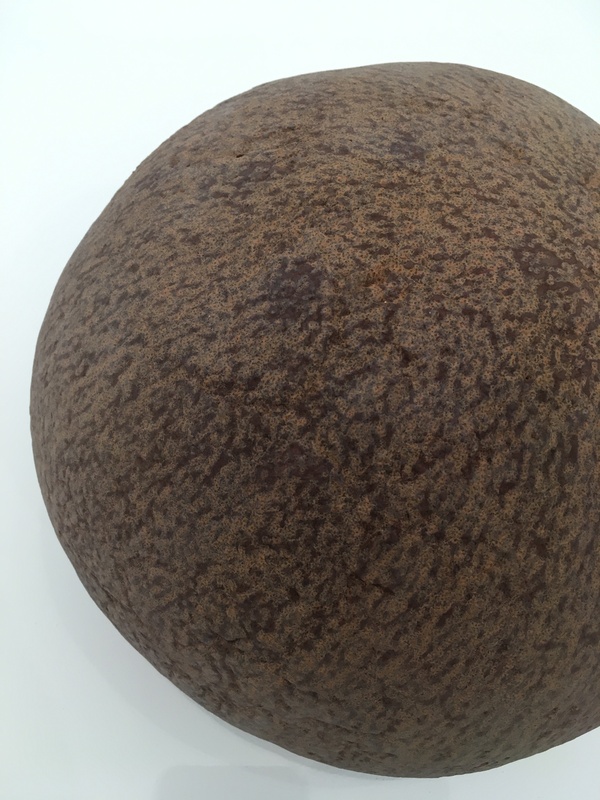 Iron Cannonball’s surface comprising a ferrous patina which seems to have the consistency of red earth is yet another great work although it would have benefited from being placed in the main room beneath the glass where natural light would have enhanced its subtle gradients. Floor 3 however is where Nash’s essence is more accurately captured. As we open the door a pleasant scent of cork diffuses through the air and accompanies us as we step closer to the dome before us. The surface texture, its organic composition, as if it had grown this way, illustrates Nash’s ability to work with trees – in ways, much like Penone, that allow for the material to retain its own identity with the artist merely intervening to highlight it. Placed on either wall of the Cork Dome, we find beautiful lime green and ochre works such as Oak Into Leaf Amber to Green reminiscent of Albers’s palettes – and dark blood red charcoal repetitions of Nine Cork Oaks. The deep, electrifying blue pigment in Blue Column is also spectacular as the lighter edges, bleeding, create a neon like glow. Unfortunately however the work suffers from not being in a naturally lit room as its intensity is greatly dimmed. This brings me to my final event of the week, SODA x ARTIQ x London Festival of Architecture. SODA is the incredible architecture and design team behind the Silver Building’s branding. 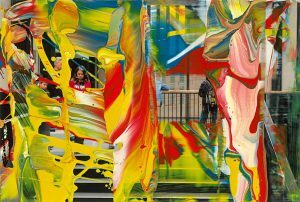 Teaming up with ARTIQ, they hosted a temporary group show ‘Through the Mural’ in design-central, Clerkenwell. As we stepped through the mural commissioned for no. 40 Compton Rd, we found ourselves in an oasis. Starting with Tebbenhoff – her Sunset sculpture reminded me of a sinuous dancer, waving unperturbed to the music. Tebbenhoff as a sculptor is driven primarily by process – which is why she does not tie herself to a particular material. Whilst her two works on display (Sunset and Trefoil) are cast in metal (which she forges in Sussex), she also works in marble as she spends several months each year in Pietrasanta, Tuscany. Her pieces seem to be characterised by an effortless sense of unity and this is visible, for those who are able to pay a visit to the Salisbury Museum, particularly in Anello Flow – on display until February 2019. 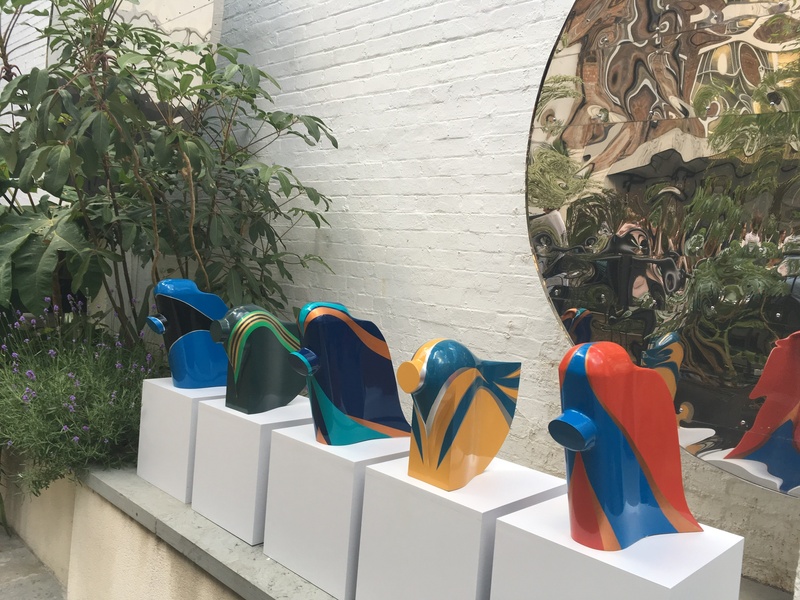 Next came Nick Moran, whose Elation has been shown at Tate Modern and whose ‘Bryndis‘ was presented by FINA to Michael Phelps in the 2012 London Olympics. Moran worked at a steel works company during his time in Australia and developed a passion for steel sculpting as a result. Whilst steel as a material is usually immediately associated with heavy, industrial almost utilitarian works, Moran appears to add a touch of lightness to it, as is the case with River Sun in which the star jovially balances on one of its rays. The third and final artist on show was Alex Devereux who has recently become a member of the Royal Society of Sculptors. Devereux plays with the notion of industrial building methods and the aesthetic that characterised much of the 19th century. In doing so he creates, as in Daedalus, a series of facsimiles that resemble components of old machinery, whilst planting them in our time, providing them with a hyper-coloured skin to help them adapt. For those interested in seeing more of Devereux, amongst other projects, his latest group show Relics may be touring soon. 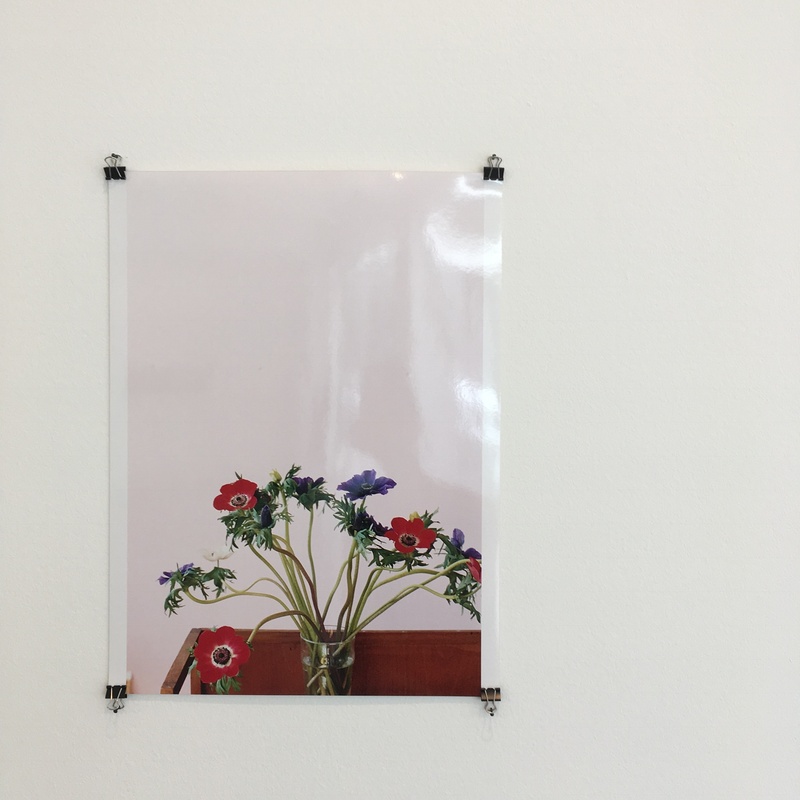 Flowers is at Ordovas until 28 July 2018. 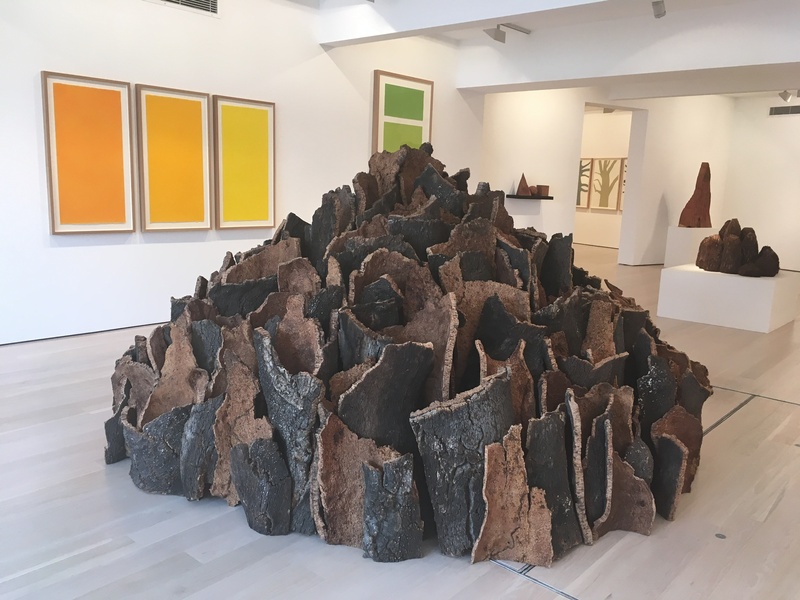 David Nash: Wood, Metal, Pigments is on at Annely Juda Fine Art until 7 July 2018. SODA x ARTIQ‘s Through the Mural took place on 21 June 2o18. This entry was posted in Art Reviews., Art Stuff London, DESIGN, EXHIBITIONS, My week in the art world and tagged alex devereux, Alexander Calder, Almuth Tebbenhoff, Andy Warhol, artiq, david dawson, David Nash, Gerhard Richter, London Festival of Architecture, Lucian Freud, nick moran, Ordovas, Pilar Ordovas, richard pettibone, Robert Mapplethorpe, soda, Wolfgang Tillmans. Bookmark the permalink.